Just heard a story on Fox News from James Baker about Ronald Reagan that's too good not to share. While Reagan was horseback riding with the Queen of England, the Queen's horse had a sudden gas attack and started expelling the gas as they climed a hill. The Queen looked back at Reagan and said "I'm so sorry, Mr. President." 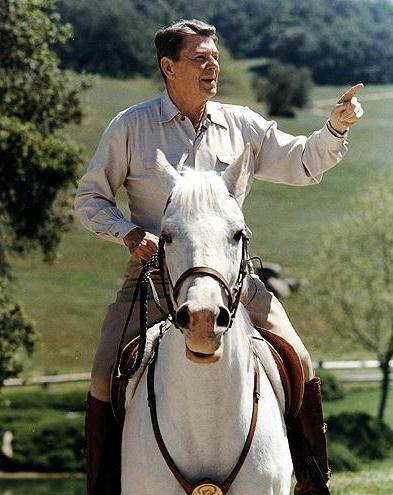 Reagan didn't bat an eye when he said "It's quite all right your majesty… I thought it was your horse."